Jon Kabat-Zinn is known as the clinical researcher and teacher who dared to bring mindfulness practice out of the meditation hall and into the most prestigious pain management center in the country. 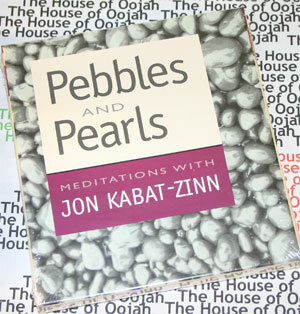 On Pebbles and Pearls, Kabat-Zinn turns his attention to another challenge – how ordinary people can use meditation in the arenas of the workplace and the family. Join him as he shares how to use the office as a meditation center; advice on mindful parenting; grounding yourself in your body; how to work with overwhelming emotions; and much more.